Zeus Exploits: Experiencing the World Cup while in Italy - Viva Italia! Experiencing the World Cup while in Italy - Viva Italia! For those who missed it, Italy Won the World Cup! It was happening while I was in Italy. Each city or small town I was in celebrated the same - with unbridled passion. I felt the passion in Venice, Florence and mostly in Rome. I was in Rome when the qualified for the Semi-Finals. I saw the game with a large crowd of Italians in a park (Piazza Vittorio Emanuelle II) with a huge 10'x 20' screen. They sold beer in the park and many brought their own which help create a very raucous atmosphere. What an experience. 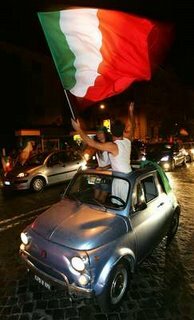 The Italians won, of course, and later, as I lie in bed, my windows wide open to the humid night air, I listened to the passionate cries of joy and horn honking till late in the morning. A memory I will never forget. 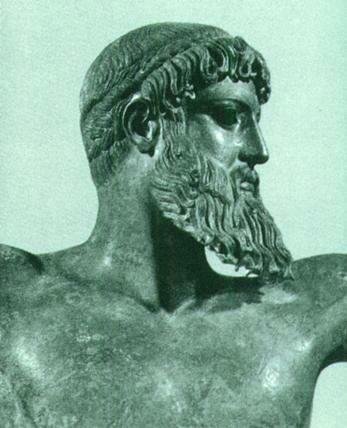 I like that picture up top, Zeus.